One pair electronically tested 14KT white gold ladies cast & assembled tanzanite and diamond dangle earrings with screw backs. 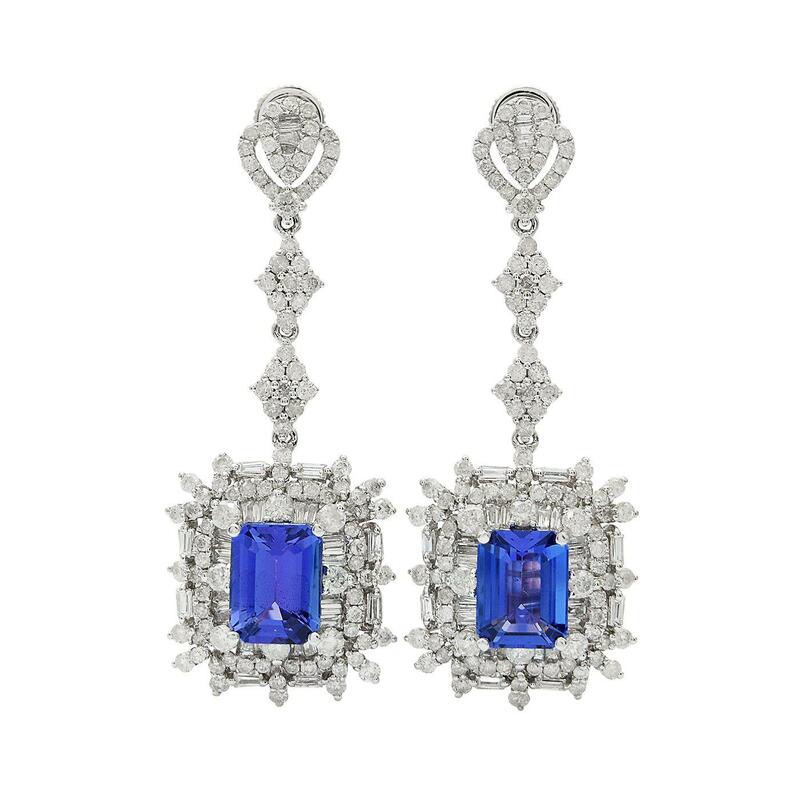 Each earring features a tanzanite set within a stylized diamond gallery supported by diamond clusters and stylized diamond post. Bright polish finish. Trademark is Orianne. Identified with markings of "14K". Condition is new, good workmanship. Two prong set rectangular step cut natural tanzanites, measuring 9.50 x 7.30 x 4.60mm, approximate total weight of 5.82ct., clarity is eye clean, type I, dark, moderately strong, violetish blue color, (GIA vB 7/4), cut is good. Transmitting light with no distortion, transparent. Measurements and the color grade are an average for the pair. Graded inthe setting. One Hundred Thirty-Five prong & channel set round brilliant & baguette cut diamonds approximate total weight of 135 Stones = 4.70ct. The clarity grade reflects the entire range of clarity for this group. Graded in the setting.